NCsoft released today a new video to support the announcement of the Engineer profession in Guild Wars 2. As you may have guessed, the company demonstrates in this video Engineer’s skills and abilities. As we reported yesterday, the beta phase of Guild Wars 2 will begin in the second quarter of 2011. 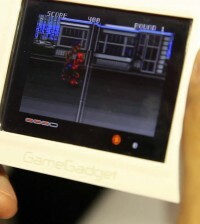 The company also plans to release the game in 2012. Enjoy this new video after the jump.